100 Pack Developed for use by astronauts, these emergency survival blankets are lightweight, compact and have many uses. 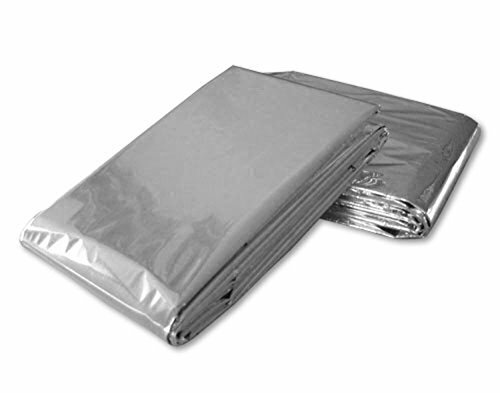 Mylar can retain 90% of your body heat and can be used as ground cover or a shield from the elements. Not only can these be a life saver by providing warmth, but they can also be used as a ground cover, to build a shelter, collect rain water, and as a reflective signal device.